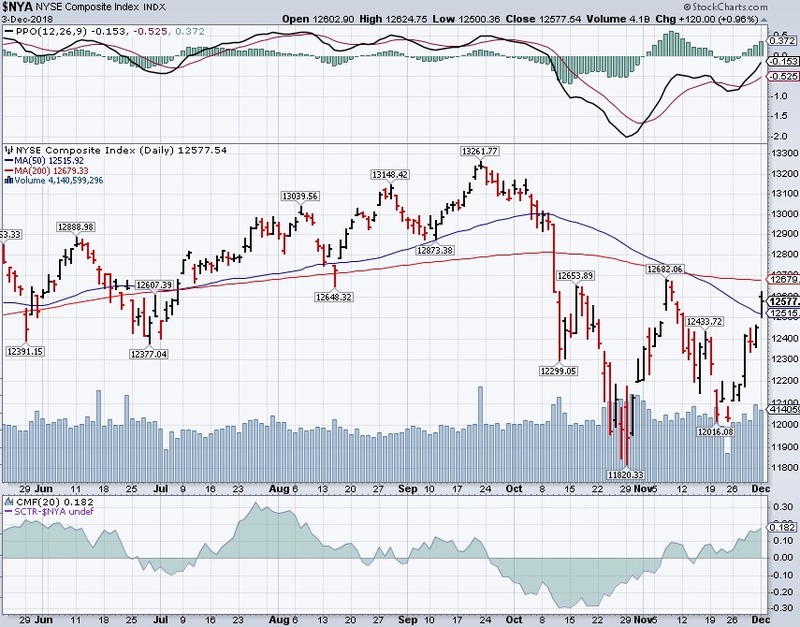 PhilStockWorld.com | Testy Tuesday – Is China Enthusiasm Enough to Flip the Death Cross? Testy Tuesday – Is China Enthusiasm Enough to Flip the Death Cross? We're still in technical trouble. The rally, while impressive, has not been enough to avoid the dreaded "death crosses" in the stock indexes, where the 50-day moving average falls below the 200-day moving average (indicating acceleration to the downside) and, keep in mind that's 50 business days so more like 2.5 actual months of downward movement is being tracked – that's not the kind of thing you reverse in a single session or even a very bullish week – is it? You can see from the "W" pattern on the NYSE that has formed below the 200-day moving average since early October and now it's December and we are making our second attempt at a rally after the early November rally failed so spectacularly into the Holiday. But now it's Santa Rally time and Team Trump is promising us a trade deal for Christmas and when have they ever lied to us, right? Treasury Secretary Mnuchin would have been a more China-friendly and negotiating-friendly choice or even pro-trade Economic Adviser, Larry Kudlow, who said China committed to rolling back tarriffs on autos and agriculture to which China has already replied "He said we said what???" Pushing things back 90 days let's Team Trump make all sorts of BS claims that can't be verified for 3 months and, even then, they can push it back another 3 months. The two sides even disagree whether there is a deadline for talks. While the U.S. said it would “endeavor” to wrap up talks in 90 days. 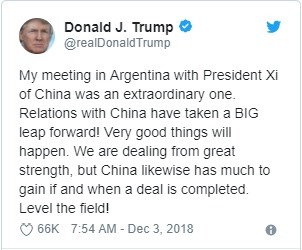 In Buenos Aires, Chinese officials made no mention of any deadline, and were angered when told about the U.S. claims. http://welcome.philstockworld.com/wp-content/uploads/2015/09/PSW-Adooma-logo.png 0 0 Phil http://welcome.philstockworld.com/wp-content/uploads/2015/09/PSW-Adooma-logo.png Phil2018-12-04 11:44:352018-12-04 11:44:35Testy Tuesday – Is China Enthusiasm Enough to Flip the Death Cross? Monday Market Madness – China Goes on Hold, Markets Go Crazy! Follow-Through Thursday – 5% Correction or Just the First Step?